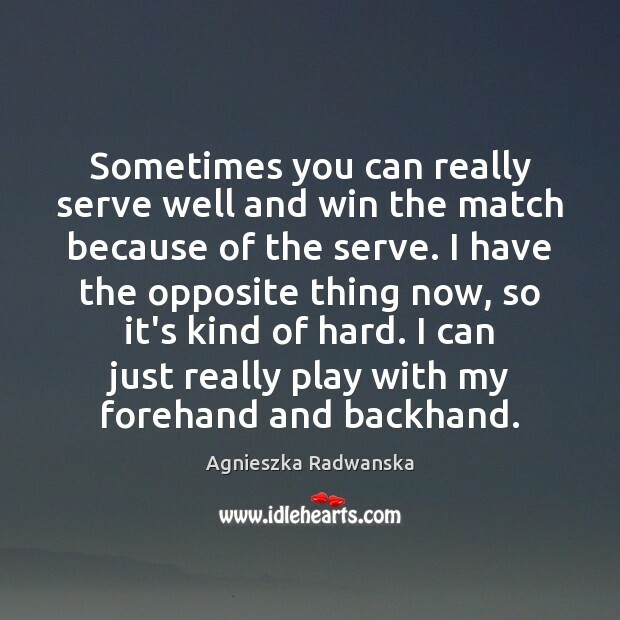 Enjoy the best inspirational, motivational, positive, funny and famous quotes by Agnieszka Radwanska. Use words and picture quotations to push forward and inspire you keep going in life! Sometimes you can really serve well and win the match because of the serve. I have the opposite thing now, so it's kind of hard. I can just really play with my forehand and backhand. If somebody knows me, they know for sure I'm from Poland because I'm playing for my country every tournament, every match. I'm staying in my hometown and my home country because that is where I feel comfortable. I feel good there. 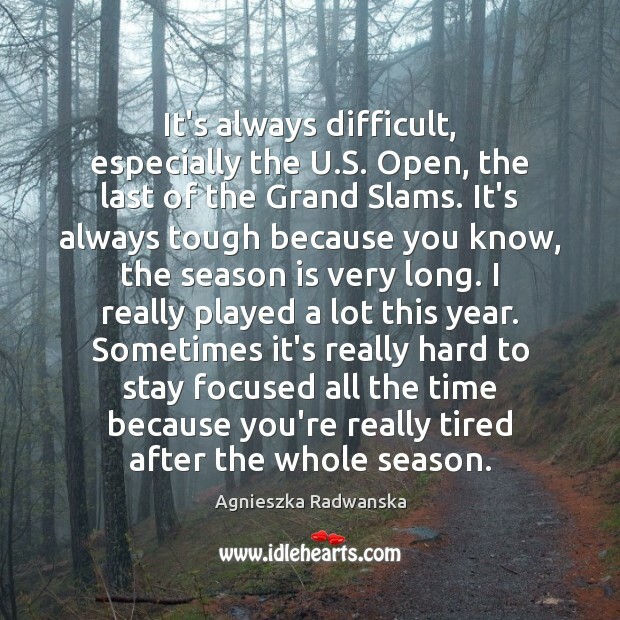 It's always difficult, especially the U.S. Open, the last of the Grand Slams. It's always tough because you know, the season is very long. I really played a lot this year. Sometimes it's really hard to stay focused all the time because you're really tired after the whole season.